“It takes more than a thriving restaurant scene to sustain DC’s recent population boom. New residents also need somewhere to live. Increased demand has driven up the already high cost of homes and rentals and kicked off a surge of new construction. 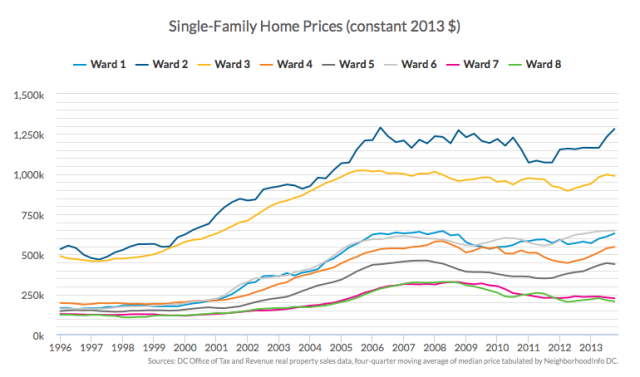 While the city is now prospering, these changes have made DC unaffordable for many residents, both current and new. Read the full report and see all the slides here.